Notes: Barnard 1 (B1) belongs to the Perseus molecular cloud complex, which is located in a distance of 800 light-years from Earth. 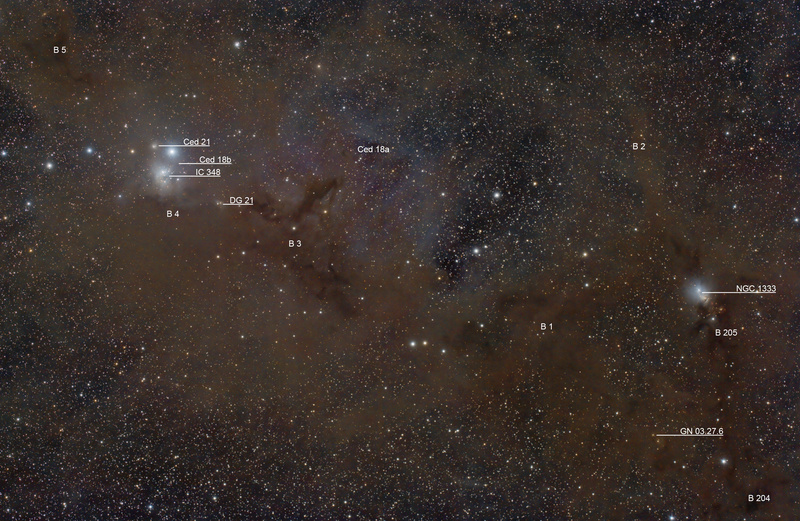 The Perseus molecular cloud contains several of the regions in the neighbourhood of the Sun that are most actively forming low- and intermediate-mass stars. 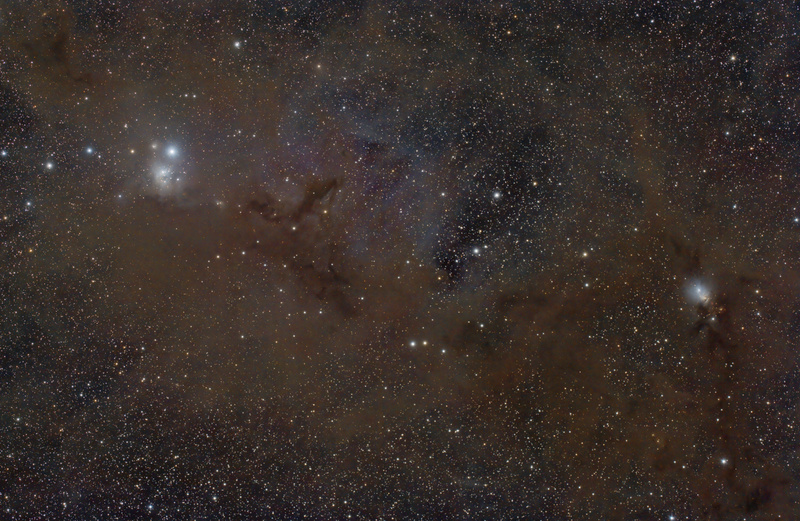 The reflection nebulae regions NGC 1333 (to the right in the above image) and IC 348 (to the left in the above image) are embedded in the Perseus molecular cloud.